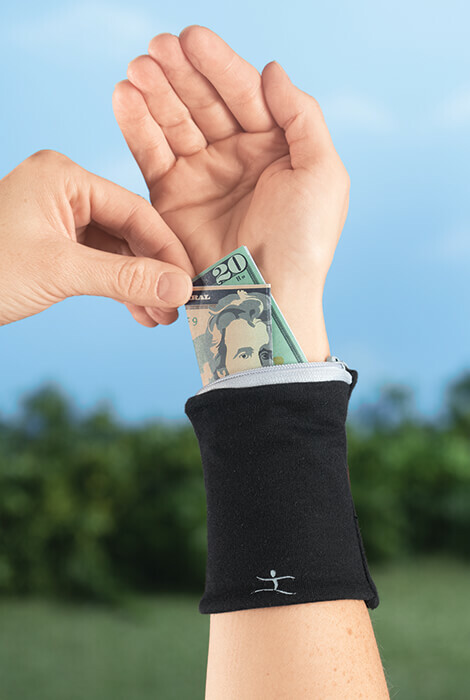 Hands-free wrist wallet. Breathable stretch fabric. Water-Resistant lining hand wash cold. Imported. Turquoise, Black. Would these fit a child?